“What is truth?”. Perhaps one of history’s greatest ironies is embodied in this question. Imagine, for one moment, the scene. A self-absorbed, decorated Roman politician is annoyed at the consternation generated by what he deems a pathetic, half-naked dreamer, Jesus of Nazareth. 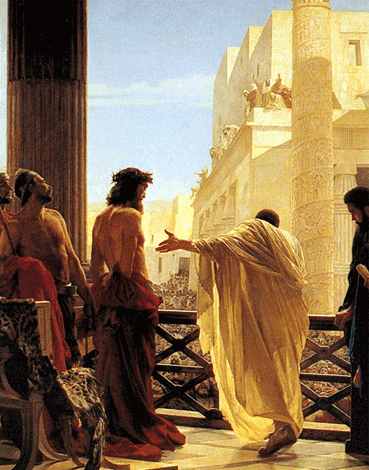 Looking for a politically expedient answer that would mollify a mob and also minimize his own work, Pontius Pilate embarks on an arrogant, disinterested interrogation. The questions emerge from Pilate in a smug fashion. Utterly confident in his own wisdom and lawyerly skills, he anticipates that he will outwit the prisoner, outwit the mob, or even outwit both simultaneously. Are you a King? No? Ah, you ARE a king? The questions are fired at this strange man, who in spite of His dishevelled and impoverished appearance, exudes striking poise, composure, and eloquence. Pilate tires of his game within a few questions, until Jesus says this, “You say that I am a king. For this I was born, and for this I have come into the world, to bear witness to the truth. Every one who is of the truth hears my voice.”. And then Pilate asks his question – the most ironic question, perhaps, in the history of the world. “What is truth?” Here standing before Pontius Pilate, Prefect of the Roman Province of Judea, servant of Emperor Tiberius, was a shrunken, bearded man who was, in fact, Truth Itself. Here was the Christ, the Messiah, the Son of the Living God, God Incarnate. 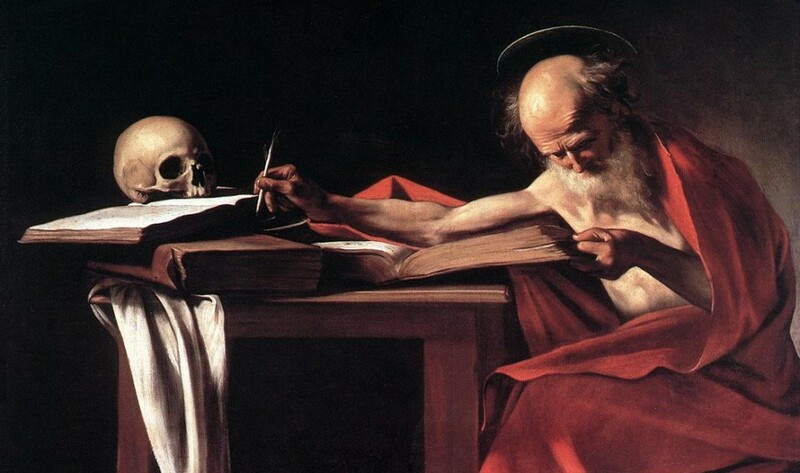 Pilate asked what truth was of Truth itself, and he wasn’t even aware of it. Irony and paradox. That is our God. Of note in this exchange between Christ and Pontius Pilate, was the rapt attention generated in Pilate once he asked his famous question. Some interpret Pilate’s question as a sarcastic and disinterested retort – irritated that he is wasting time with another zealous apocalyptic who is politically naive at best and plain crazy at worst. But I see something different. Pilate’s question strikes me as the moment he became truly interested in Jesus. He seemed to be playing a game at first with Christ, but then heard something that generated in Pilate an eager, if impulsive, response – a response that had an earnest strain of honest desire to know what truth really is. It was almost as if God Incarnate extorted from Pilate, uncontrollably and out of sheer proximity, a deeper desire to know, grasp, and be enveloped in the very truth Pilate was inquiring about. But the cloud of sin, self-absorption and cynicism would re-emerge leading the Prefect to cold calculation once again. Having left his encounter with Truth Himself behind, Pilate felt there was nothing left to do but scourge, crucify, and wash his hands of the entire affair. In the historical catalogue of missed opportunities, I would judge Pilate’s to be one of the greatest. So if the question were pursued – if Pilate took seriously the possibility that he may apprehend a great deal from his Prisoner – what might he have learned? I would not presume to speak for Christ, but the themes that emerge from Christ’s life and teaching are quite consistent. There is a Truth and it is simultaneously merciful and just. It is patient. Deviating from the Truth is not a matter of choosing an enlightened and equally valid alternative – it is to adopt a Falsehood. God has given us free will not to choose from a “variety of truths”, but to choose the One Truth or risk falling into a plethora of falsehoods. And instilled in all of us is the Holy Spirit prompting our Conscience to make the right choice for Truth time and again. Truth. It is merciful, just, and patient. It is mesmerizing, exact, and exhilarating. It is obvious, refreshing, and visceral. Pontius Pilate’s historical cameo gave him the role of asking one of life’s greatest and most ironic questions: “What is truth?”. It is Christ standing squarely before our very eyes. Let us not miss Him as well. By Tod Worner in Uncategorized on November 3, 2012 . Awesome, Tod–reminds me of Jesus’ response to the scribe in Mark 12.